‹ How Fast Can I Scan With A Piezo Stage? Fast steering mirrors have a variety of applications where positioning a mirror, lens, or other optic is necessary on a tip and tilt plane of motion. 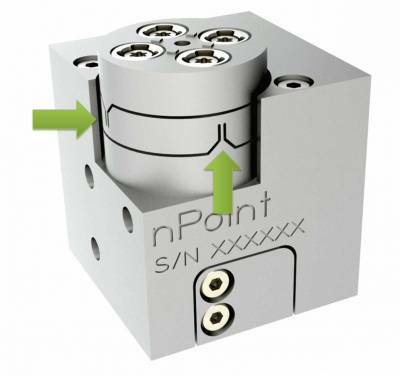 nPoint’s tip/tilt stages are designed with flexure bearings cut from a monolithic material via wire EDM. The flexures use one common pivot where each flexure is perpendicular to the other, allowing one platform for both axes. A flexure provides frictionless motion while allowing straight, linear, repeatable travel. 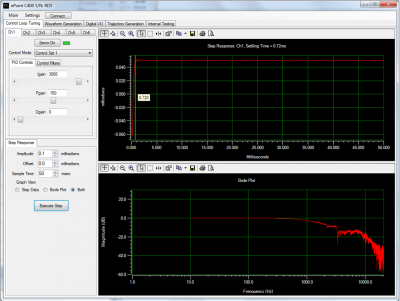 Piezo tip/tilt stages can achieve a bandwidth of 1 kHz or greater with travel ranges of up to 14 mrad in closed-loop. Piezo positioning provides bandwidths faster than most galvo-scanners and voice-coil stages. 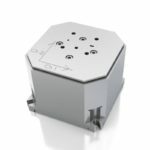 Mirrors are commonly glued to the surface of the stage, but mounting holes on the sides of the top platform also provide mounting opportunities. As with most piezo stages it is important to limit mass of the load if high dynamic scanning is required. 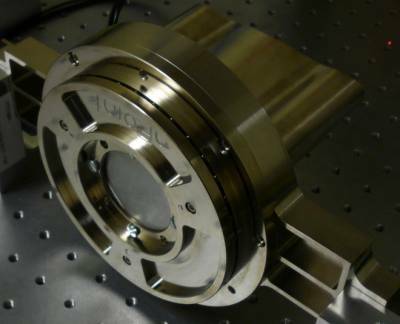 Fast steering piezo mirrors can be used for scanning and step and settle applications. They can be used to steer a beam or for cancellation/correction. 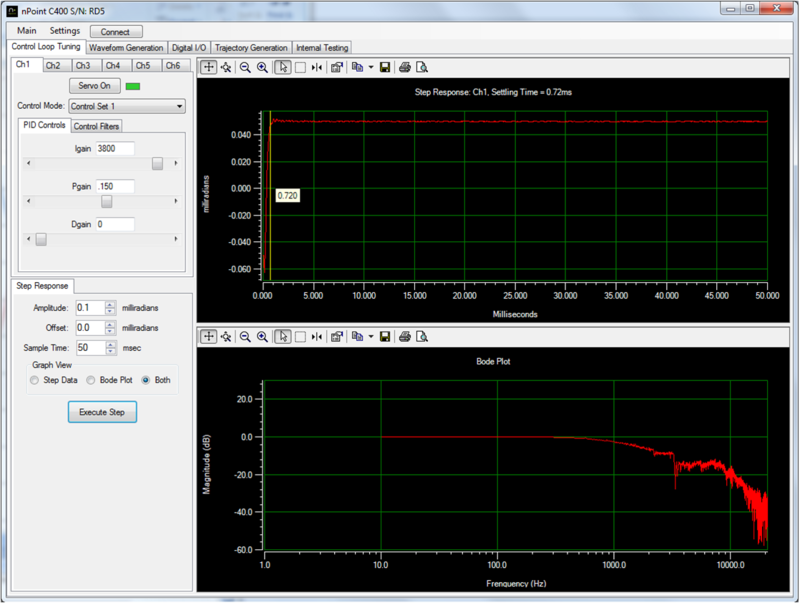 The image below demonstrates a step response and system bandwidth of the RXY6-212 tip/tilt stage. Stages can be used in open-loop (without sensors) or closed-loop depending on the requirements of the application. Closed-loop control reduces hysteresis, improves linearity, and provides faster settling times. 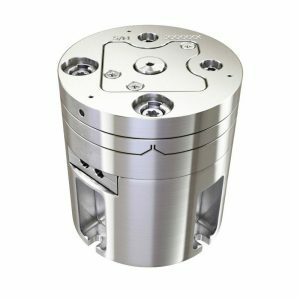 Custom designs are capable of providing different results based on specifications required by the application. Tip/tilt stages can be designed to carry large mirrors such as those necessary for large telescopes. An example was built for the Robert Stobie Visible Spectrograph on the SALT telescope. Contact nPoint for Custom Design Ideas.